This is all about the art and it is about Australian art. The artist is Melissa Nungarrayi Larry and Yumari is a collection of rocks in the Gibson Desert, a site of forbidden love. With this licensed artwork, we get to wear a little piece of art. 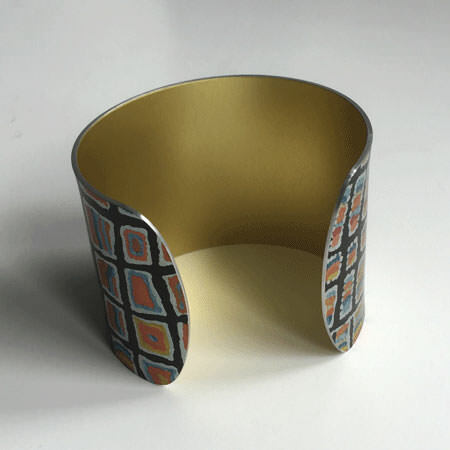 This Australian cuff is made of anodised aluminium and has a beautiful and very smooth finish. 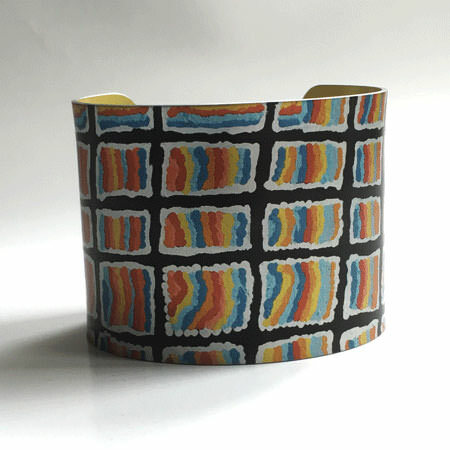 The cuff is 47mm wide and has an internal circumference of 19cm. Click here to view more Australian jewellery and see our matching pieces below in This Goes with That.